Deer antlers are unique cranial appendages capable of regeneration and rapid growth. In addition, deer antlers have been widely used in traditional Chinese medicine to promote the function of the kidneys, reproductive system, bones and nervous system. It has been shown that water-soluble substances are the major bioactive components within the deer antlers. In this study, we prepared aqueous extracts from deer antlers during a rapid growth stage. We investigated the effects of antler extracts on primary chondrocytes by analyzing their protein expression patterns using isobaric tags for relative and absolute quantitation technology. 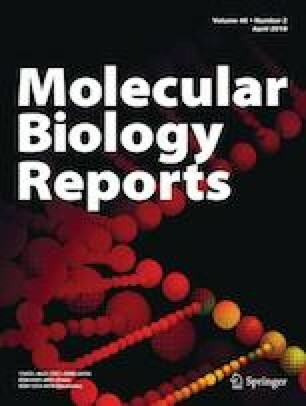 We demonstrated that antler extracts promote chondrocyte proliferation and prevent chondrocyte differentiation and apoptosis by controlling multiple cellular processes involved in genomic stability, epigenetic alterations, ribosome biogenesis, protein synthesis and cytoskeletal reorganization. Antler extracts significantly increased the expression levels of proliferation markers Mki67 and Stmn1 and differentiation inhibitor Acp5 as well as cellular apoptosis inhibitors Ndufa4l2 and Rcn1. Thus, this study has greatly expanded our current knowledge of the molecular effects of antler extracts on chondrocytes. It has also shed new light on possible strategies to prevent damage to and to treat cartilage and its related diseases by using aqueous extracts from growing Sika deer antlers. This work was supported by the National Key Research and Development Program of China (Grant No. 2018YFC1706605), the TCM Clinical Research Center for Bone diseases of Jilin Province (Grant No. 20180623048TC), the Science and Technology Development Project of Jilin Province (Grant No. 20170520044JH), the Science and Technology Project of Jilin Provincial Education Department (Grant No. JJKH20170721KJ), and the National Natural Science Foundation of China (Grant No. 81702136). Ethical approval was granted by the ethics committee for the study.